Vote on a prompt - which did you like best? xxxxxxx"with drops of jupiter in her hair"
Warning it has stuff that might be suicide or depression triggers. Ambrosia smiled as the limo pulled up to her old neighborhood. She was going to be doing a charity concert here to help her old school with funds. She was looking forward to seeing all her friends especially her ex boyfriend, Ashton. When they arrived at school she was able to talk to almost all her old friends. The only one missing was Ashton. She was getting a bit worried when her other friends did their best to avoid the topic. Even her teachers kept changing the subjects. She was getting really worried and upset. Then she met one of her old school bullies and they told her the truth. It had been a few months ago when Ashton had been diagnosed with brain cancer that was untreatable. It would be a slow painful death and so instead he had decided to jump off the bridge because he couldn't stand the idea of having a slow agonizing death that had already been killing him slowly for months. Tears filled Ambrosia's eyes as she wished that she could have at least said goodbye. They hadn't communicated for so long and that was why they had broken up. 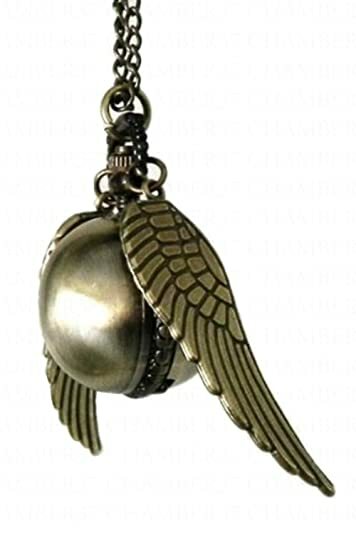 She went home and got dressed in her favorite outfit but instead of the slave necklace she wore that went with her slave bracelets, she wore the golden snitch clock necklace. It was the necklace that Aston had given her. She got back to the school and told them that they all knew what happened. She then told them she was going to sing Ashton always sang to her. With that she started to sing that meant so much to her, she started to sing, Drops of Jupiter. When she was done, she handed the mike to one of her backup singers and said she needed to go. She headed for the old bridge that they used to go to. The same one Ashton jumped from. She set her phone up and sent them all a goodbye video and then jumped into the sea and as she fell, she felt as if she could feel Ashton's wrap around her. Death was quick and surprisingly painless or so she thought. They decided to name the bridge after the two lovers. They called it the Drops of Jupiter Bridge. "You know I'm always here for you, right?" It had been a very difficult morning. She had almost backed out of attending the funeral, but she couldn't do that to him. She was the only family he had left, even if he hadn't known it. Alaya was emotionally exhausted, mourning for the brother that she hardly knew. It had been for the best. The dark clothes and tear stained cheeks were a stark contrast to the white-blonde immortal's usual upbeat and bright personality but she hadn't been able to bring herself to change since returning to the small apartment she called home. She'd been curled in the corner of the sofa for almost two hours, her unfocused gaze drifting around the room when there was a soft knock at the door. Not in the mood for visitors for possibly the first time in her life, Alaya ignored it. It didn't make a difference, not when he had a spare key - the knock had purely been to let her know that he was there. Liam had offered to go with her for support but she hadn't wanted to make him when he hadn't even known her brother. He had better things to be doing with his time, and she'd said as much - albeit in a much nicer way. She should have known he would have stopped by to check on her though. If she'd considered it earlier she would've made sure she wasn't looking as miserable as she currently did. The weight of the sofa shifted as he came to sit by her and she could feel the concerned eyes on her as he took in her sorry-looking state. This was the first time he'd seen her looking such a mess and he was surprised given how calm she'd been when they'd been talking about it just days before. In all honesty, she hadn't expected it to hit her this hard either. "Hey.  You know I'm always here for you, right?" The softly asked question took her by surprise but she responded in a voice that was hoarse from crying. Already he knew her too well. He didn't ask how she was doing, or whether she wanted to talk about it - questions that would have done nothing to make her feel better about it all. He was simply there - and that was enough in that moment. She shouldn't have let herself be alone and he had known that before she did. The silence of the room that before had been too empty was now comforting and for the first time she knew for sure that she would bounce back from this. You learn a lot about a person just through simple observation. Like the way the hands that lit the altar candles would tremble, almost taking the flame with it before it even hit the wick. To know someone to the point of promising to kill for them is powerful -- to know that this person trusts you to the point of willing to spill blood in your name, to know that you hold that over them? That raw, inexplicable sense of control and power and trust? Gods, it’s, quite simply put, perfect. The promise of power and control has proven to time and time again bring an entire race to its knees, holding the incapability to so much as even process anything outside of the realm of war. To slaughter without reason, without cause, has been prevalent throughout the ages, leading to far too many catastrophic repercussions each and every time, yet we as a collective race still have yet to learn from our mistakes. Creatures will lose themselves in the fantasy of ripping flesh and dragging their talons through muscle, scraping across bone, absolutely blind in their fury. To overcome the weak, to eradicate the innocent. A simple assertion of dominance over them, proving power and strength. That is what is the ultimate cause for the destruction of man, by the hands of his kin. You’re looking down the barrel of a gun and immediately you realise things that have never had to have been put in light before. From a standpoint, you see nothing more than two inevitable outcomes. Factors that were far from your control. Sometimes contributing allocations can affect us in the greatest ways possible, yet through the smallest means of information. Through things in which we are too wrapped up in our pretty little lies to understand. Then the trigger is squeezed, and the bullet is flying out of the barrel. Beat one. Skin is pushed back. Beat two. Muscle is torn. Beat three. Blood pours. Beat four. You hit bone. Beat five. You’re on the ground, wondering why you never took an opportunity to run. Your consequence was your life. You’re no more than a flatline on a monitor. When the chains are put along your arms and your legs, metal designed to pin you down into the farthest depths of the ocean, you have no other choice, really, but to accept them for what they are. The water was saltier than she remembered, but then again, her memory was never really that great in comparison with her brother's. But she did not wish to speak of his name, let alone the fact that the man who had done this to her was in any kind of relationships with her whatsoever. Family. Family was nothing to her, for she, too, was nothing now. Yet she could still hear it, hear her brother's voice whispering those damnable words before sending her to her watery grave. He'd torn her to shreds. Thrown overboard, cast out into sea in hopes of never finding a way back; she hardly saw it coming. You know I'm always here for you, right? Struggling was a futile task, but the water certainly did help a slight bit. She couldn’t breath. Water was rushing into her mouth, flooding her lungs as the salt burned her throat, her nose, and every last fibre of her very being. Screaming, she knew, would not help her in this situation here, for she knew nobody could hear her. Not down here. Here, she was hopeless. Here, she harboured no chance, no choice, no way of escape. She was meant to die down here, condemned by the very man that promised to save her. Her eyes closed once more as she shifted so she could pull her knees up to her chest, burying her face against her knees. So much could have been prevented if she hadn’t allowed her self-control to slip that night she had spent with Judas. So much could have been prevented if she...if she hadn’t been spared. Reynard should have killed her when he’d found her, already bitten. Chelsea swallowed past the lump in her throat, doing her best to ignore the burning sensation at the back of her throat. She was still recovering from the torture she’d been put through and was having to force herself to practice her self-restraint even more. It had been quite a few years since she’d struggled so much with her bloodlust. "ｙｏｕ ｋｎｏｗ ｉ'ｍ ａｌｗａｙｓ ｈｅｒｅ ｆｏｒ ｙｏｕ, ｒｉｇｈｔ?" It seemed impossible to Devon that less than a week ago her and her group of friends had watched Jason scribble his name on the side of the school building. She remembered how Ferris had tried to take the sharpie from him, resulting in an amusing wrestling match between the two of them. When Ferris finally jokingly threatened to call the police to report Jason for vandalism, Jason had retaliated by drawing a sloppy line across his forehead with the sharpie. It took Ferris the entire lunch period to scrub it off in the bathroom, and his forehead was red the rest of the day. It all seemed like fun then, but the memory was impossibly painful now. Seeing the writing now that he was officially forever gone, the words seemed like a premonition, an ominous and subtle warning that the next week of Devon's life was going to be the worst she had ever experienced. She read the sentence aloud, whispering, lightly ghosting the tips of her fingers along the rough brick wall. Her tears got caught on the word 'was'. Referring to him in the past tense filled her mouth with a vile taste and made her stomach twist in uncomfortable knots. All there would ever be from now on is words of 'was'. That was probably the worst part. How could she talk about Jason as if he wasn't there anymore, when he now appeared everywhere she looked? At the stop sign where he used to meet her in the mornings before school, until he had gotten his driver's license and no longer needed to take the bus. In the record store at which he used to shop to add to his huge, stupid vinyl collection. Beside the water fountain in G hall where he'd make drug deals on behalf of the entire group so they'd have something to smoke at lunch. Jason had anger issues, sure, and as a result had pissed off a handful people over the course of four years, but he hadn't deserved to die. Maybe he wasn't always the best person, or even a great friend, but at least he was always there. Now that wasn't even true. Devon could even still hear his voice sometimes. 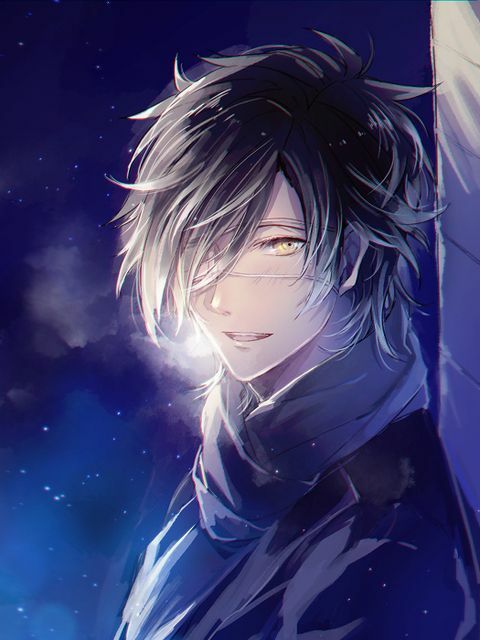 "You know I'm always here for you, right?" he had said quietly, carefully, following an awkward silence before which her shirt sleeve had accidentally pulled up, revealing both faded and fresh scars. They had been sitting on a couch at some stupid party, having a stupid argument about the Labyrinth movie. She had been so embarrassed when he accidentally saw; nobody else knew her secret, and that wasn't how she imagined anyone finding out. He hadn't yelled at her or made a big deal about it, though, like she had prepared for and expected from him. So she just offered him a weak smile in response and nodded her head. His words meant more to her than he'd ever know. She wished she would've said more to him. Now, she'd never get the chance. Humans start out at birth with milk white blood. The more crimes they commit, the darker their blood becomes. One day, you meet your soulmate. Skip a few years, and things are amazing...until your soulmate trips, falls, and exposes black blood. She couldn't set the book down. It was heavy in her hand, worn down from years upon years of use. There had been dust on there just a few days earlier, showing egregious signs of neglect ever since its existence became unnecessary. Until today. Today, all of the dust has gone and settled elsewhere, allowing her to thumb through it and keep turning it in her hands. Reading those same few lines, over and over again. Soulmate. Noun. A person ideally suited to another as a close friend or romantic partner. Flashes of black would occasionally blur her vision, causing her to reel back and blink until her gaze cleared again. There weren't many people in her life that she'd tag the word perfect to, but Gracyn was definitely worthy of it. The woman was beautiful, black hair carefully parted to frame her dark gold skin just right, bright black eyes shining back at her. The way they'd glow when she'd get happy or excited. It wasn't hard for Saadi to admit that she fell in love with Gracyn almost the exact moment she saw her. She'd known her for almost her entire life, but didn't realise just what Gracyn meant to her until just a few years earlier. Saadi wasn't the one between them who had the courage to speak up about how she felt, instead Gracyn making that first move, confiding in her about their mutually shared feelings. And gods, their relationship was perfect. They never fought, always spoke calmly between one another to sort through things, and took care of issues in a mature manner. Everyone that knew the couple envied them. Soulmates. Now? Gracyn was behind bars, serving the sentence that she deserved. Did Saadi miss her? Hell yes. She visited her every chance she could, but the daily calls made between the thick glass wasn't enough. How could she have known so little about her best friend? Her lover? Her soulmate? It was a punch in the gut, a stab in the heart, and the more and more time she spent reading over that definition, the more she twisted the knife. Saadi immediately lunged out towards her side table, grabbing the pocketknife that rested there. Her fingers were shaking as she carefully traced the blade across her skin, not pressing down hard enough to break it, but just enough to leave faint white lines. Finally, she dug into her skin with the sharp blade, pure white blood pooling in the deep crevasse of her skin. White. For half a second, her vision flickered, seeing the scrape of black that spattered across Gracyn's knee after she'd tripped. Jet black. It wasn't Saadi that turned her in, no. She'd been too scared. However, the woman that saw the fall before Gracyn had the chance to clean up her blood, immediately contacted the authorities. The only thing Saadi had the capacity to whisper was what did you do?, harsh under her breath. Triple homicide. In the first degree. Gracyn was convicted, the jury not even needing more than an hour to convene and decided her fate. Her girlfriend, her soulmate, her everything, had less than a week to live before she was put to death on the end of lethal injection. Saadi thought she knew her, thought she knew everything, the good, bad, and the ugly. Clearly, she knew nothing of her lover. Nothing about love. Life.